Dental laboratory technicians who dedicate themselves to advance dental education, training, and skills in the application of both the gnathic (mechanics) and neuromuscular (bio physiologic science) involved in the use of Myotronics K7 occlusal evaluation instrumentation, technology and principles are recognized for their advanced understanding, knowledge and training with Dr. Clayton A. Chan at Occlusion Connections™ in Las Vegas, NV, U.S.A. This is to specially recognize the following individuals on this page who have taken OC’s advanced Levels 1-7 courses. 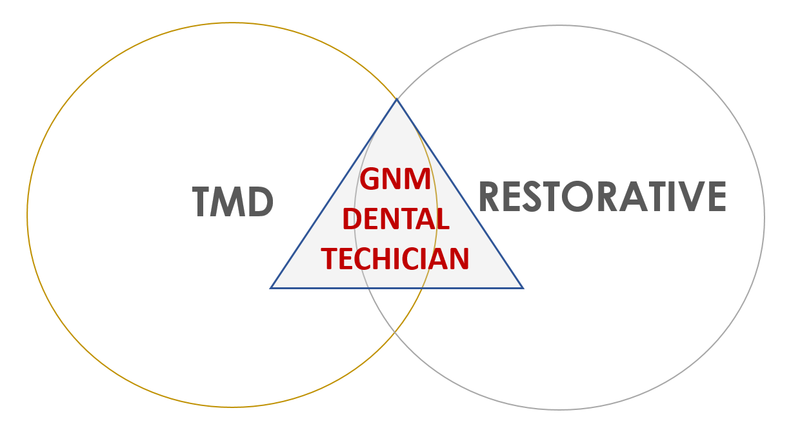 Dental Laboratory Technicians who have taken all Levels 1-7 courses have been designated with this Dental Technicians GNM emblem below. Javier E. Vasquez, D.M.D., M.I.C.C.M.O.